Exclusive DisplayGifts Brand. The picture speaks for itself. It is absolutely beautiful. Made from hand selected hardwood. Repeated sanded to achieve smooth and elegant appearance. 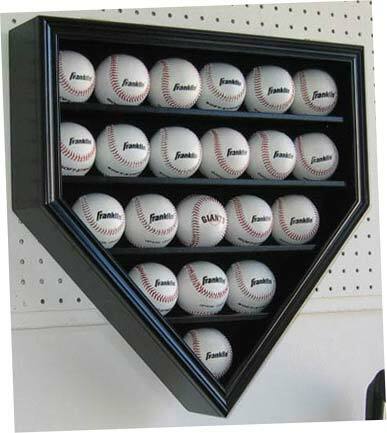 A great way to display your MLB professional baseball collections. Black matted background and Hinged door cover to protect from dust and damage. Brass hinges and wall brackets to hang (Wall mounted). Indentations on shelves to secure the balls from rolling. No assembly required.